Our very own and famous pizza restaurant right here in the heart of Lakewood is one of the most talked about places to go and eat. 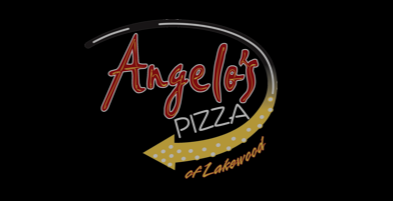 Angelo’s is a go to for a good taste of Lakewood pizza. People from far and wide come here just to eat the delicious food. Angelo’s opened in 1981 on Madison Avenue. They instantly became and overnight success. Angelo’s now has half off pizza every Monday when you dine in. They also have happy hour Tuesday through Saturday from 4-7. Angelo’s also is linked with the no wait app from Tuesday to Sunday so you can book a table at home and by the time you arrive the table will be ready. Angelo’s is known for their sweet sauce and soft thick crust. The best is the deep dish that comes with a crumb filled bottom. They have monthly specials that will blow your taste buds out of the water. You van enjoy their pizza dining in, taking out, or even delivery. When I order Angelo’s I usually get a large deep dish pizza, for the crumbs, and their classic pepperoni pizza. It is amazing. I also order their caesar salad occasionally which is also so delicious. Angelo’s also supports fundraisers. They are always willing to help out Lakewood High School raise money for athletics and prom. Tonight, Thursday May 3rd they are having an fundraiser for the junior class to raise money for prom next year. If you want to contribute you should head over to Angelo’s Pizza from 11-close and mention the fundraiser to donate.